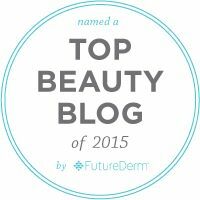 As you probably know, by now I am crazy about Exuviance skin care. Beautiful. Efficacious. Based in science, delivering real results. 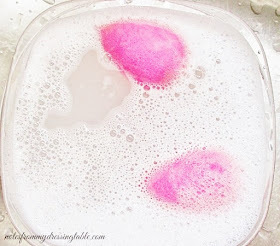 I shared with you my review in a Sample Saturday post my review of these extraordinary eye area treatment pads. I received one pair as a sample when I was sent another Exuviance product for review. I fell in love! And when I was offered the opportunity to get my grubby paws on a full size box of these little swoop shaped slices of skin heaven, well... Happy dances ensued. Exuviance Intensive Eye Treatment Pads firm and hydrate the delicate skin around the eye area. These single-use pads contain concentrated ingredients to provide maximum anti-aging benefits in a gentle formulation. Lactobionic Acid (10%) hydrates while it stimulates cell renewal and supports the dermal matrix, firming the skin and minimizing the appearance of fine lines. Pre-packaged in sets of two, our Intensive Eye Treatment pads are the perfect way to refresh, replenish and revitalize your eyes after a long day. Dermatologist and allergy tested. Fragrance-Free, Paba-Free. For all skin types. Aqua (Water), Butylene Glycol, Lactobionic Acid, Glycerin, Polysorbate 80, Arginine, Retinyl (Vitamin A) Palmitate, Tocopheryl (Vitamin E) Acetate, Tetrahexyldecyl Ascorbate (Vitamin C Ester), Disodium EDTA, Chlorphenesin, Methylparaben, CI 19140 (Yellow 5), CI 17200 (Red 33). These Eye Treatment Pads are one of my favorite things! They make my eye area feel and look a little firmer, smoother... Dare I whisper it... A little younger? I get it... At $48.00 for a box of twelve applications, these are not inexpensive but I feel that they are most definitely worth it. 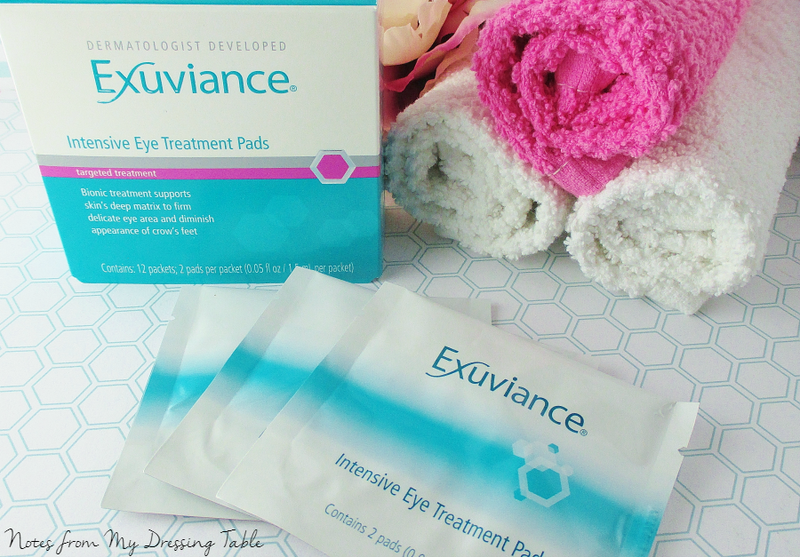 Have you experienced the Exuviance Intensive Eye Treatment Pads? Do you feel that they are as mahvalous as I do? I would totally need these. My eye bags are the worst, lol. Agree completely. I've got 'em on now! I need to check these eye treatment pads out. They sound amazing. Yess! These things are amazing, love love love them! I need to get ahold of these. I love an eye pad. I've never heard of these before! I haven't tried these, but I do like the idea of a mask just for eye issues - the skin there is so thin and delicate, unlike any other skin on our face. I love eye pads like this, especially for traveling! Eye treatment pads are my thang! I've been using the Skyn Iceland ones lately! I think I have a sample of these in my stash - I hope I do, I need to try it. Everyone has cool eye treatments lately- I need to try some!